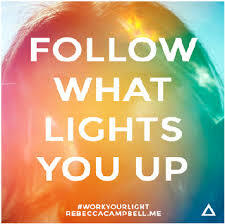 So I’ve been reading a book called “Light is the new black” by Rebecca Campbell and within it she encourages you to be who you are and come out of the spiritual closest; if you’re in one! She talks about how this allows for everything in your life to be in alignment and when the authentic you is shown to the world, all your dreams and hopes and wishes can start to materialise. That sold it to me. All my fears about “what people would think” went out the window; what people think of me is none of my business. If you don’t like it or its too weird for you, I’m cool with that. I’ve never been everyone’s cup of tea! All I care about is making people who feel the same as me feel less alone. It’s that simple. Anyone who knows me, knows I’m a bit weird. Quirky, kooky and well, a bit different. The world was tough and confusing. Being an only child, to a single parent, with polish speaking grandparents, poked fun of and picked on; my younger years were a bit of an emotional blur (but isn’t everyone’s?!). From a young age, I didn’t fit in many places, I was quiet and shy, I didn’t like noise or frivolity, I was a bit of a wimp. I was sensitive, emotional and deeply empathic to people I hardly knew. It was a bit annoying. After 20 years or so of thinking there was something fundamentally wrong with me I finally discovered this was due to me being a Highly Sensitive Person, sometimes called Intuitive Sensitives or Empathic Sensitives, or just plain old ‘Empaths’. Yeah! I’m not lying. This type of personality type/person actualy exists and I believe there is loads of us out there. I’m proudly one of them, and it is my HSP personality type thats made me discover so much about spirituality. I’m good at sensing people’s emotions and can often feel how the people whom are closest to me feel. Not just know they’re in a mood, but actually FEEL their emotions. Weird, but true. I can also read most situations and understand (or have a feeling about) them long before the people involved do. I intuitively know stuff, without being told or ever learning it. Nothing fazes me. This ultimately made my younger years a bit weird and confusing. I never asked to be like this. It certainly didn’t feel like a gift. It’s only after reading A LOT about being an empath and Heidi Sawyer’s book titled “Highly Intuitive People” that I have come to accept myself. Just Googling “empath” or “highly sensitive people”, will connect you to a whole new world! I didn’t trust this intuitive part of me for a long time though. Many people who know me wouldn’t actually know this about me, because I shut it down to fit in. I stopped listening to this part of me and acted nievely and could be quite insensitive at times, often putting my foot in it and cringing for days afterwards about what I said. Or being overly loud and a bit crazy (this always involved alcohol I might add!). I certainly HATED the empathic side too; crying in public or at strangers weddings is NOT cool, and being thought of as a wimp because I get tired when I’m overwhelmed and over stimulated, makes me feel like a total baby. I suppose my first experinece of it was in school and I always felt different, I knew what was going on and I didnt like it. So I stopped listening to my intuative and spiritual side and followed the crowd. I couldn’t though, shut off my inner empath – annoying. I followed the crowd for so long. So, so long. So what’s it like to be an empath? Well, I get exhausted if I’m in noisy places with a lot of people (shopping centres, schools etc) as I absorb and easily take on energies of people, even total strangers. 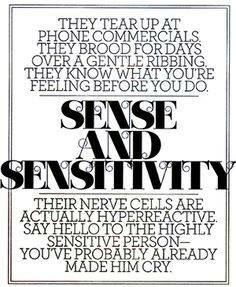 I’m particularly sensitive to noise. I’m so sensitive to smells – perfume is like the most potent and head-ache inducing poison. Blergh! I hate clutter and mess. I believe “stuff” carries energies just like people do, and “stuff” makes me feel like a room full of crowded people do – exhausted and irritable! I can intuitively feel and sense someones emotions, sometimes this effects my moods and it can be totally confusing to know exactly how I feel. These kind of attributes make me a bit of a nightmare friend and partner. As if I’m over stimulated, not rested, looked after or around any form of negativity I get snappy, anxious and agitated. This results in emotional outbursts – anger and sadness – and those closet to me, get it the hardest. ‘m and so easy going, hard working, fun, creative, adventure seeking, active and highly amusing (so I’m told!) it’s not all doom and gloom being a HSP! Reading Heidi Sawyers book made me understand why I was one and all the benefits of being one. The links between discovering this about myself and discovering my own spirituality were astonishing to me. I once read that empaths will be in-demand in a rapidly changing world – knowing intuitively how to solve issues and problems. The world is evolving and the human race is too. With books like “The Highly Sensitive Child” by Elaine Aron and “The Strong, Sensitive boy” by Ted Zeff, it’s obvious there are more Empaths or HSP’s being born in the world, and struggling to fit in, just like me. I couldn’t make sense of the world, but I always had a sense that I should be doing something a bit different within it. From a young age I was into essential oils and aromatherapy, but this was long before that kind of therapy was mainstream. It was almost like a little secret I’d keep hidden; what would people think if they knew I was into smelly oils!? To my mum I would admit I wanted to be a holistic therapist, but to the world I just wanted to be accepted. I loved art and making things. One of the best thing my mum ever bought me was an art encyclopedia! I loved that freaking book! None of my friends seemed to though. Scared of not being aceepted or fitting in, I adopted a ‘Kathy the world would accept’ personality, and stopped being the real me. She came with me everywhere and I fooled pretty much every person I met. I left the real Kathy (who loved alternative and holistic therapies, uber nutritious foods, crystals, angels, chakras, yoga, art and the Horoscopes) at home but soon she was so neglected and dismissed, she started to disappear. That’s when I turned my back on any form of “spirituality” I had started and forged through life, living each day as ‘normal’ Kathy, I stopped listening to my intuition and inner voice. I always felt lonely, I always felt like a victim and I never honoured my ‘self’. I lived in my Human Ego Personality. I know, belive and wholeheartedly understand that this has happened to thousand if not millions of girls and women all across the globe, but now it’s safer than ever to delve back into your spirit, your inner voice and a your soul. Celebs like Russell Brand is doing a STERLING job of trying to wake up the world, even Kanye, Madonna, Gwyneth P, Richard Gere, Mel Gibson, Tom Cruise, Goldie Hawn and Oprah talk openly about their spiritual side. Only now, after being pushed and pushed and pushed by the universe, to discover more about my spirituality, rediscovering my passions and gifts, do I really feel like who I am, who I should be. And it feels super ace to get it all down on paper and share it. For once I don’t care what people think! I know I’m a little out there, but I’m intelligent, savvy, talented, funny, grateful, kind, caring, attentive, loving, sensitive, empathic and I make the most of what I have. Being ‘spiritual’ doesn’t mean I think I’m better or any different from anyone else. We are all just at different points of that journey and there isn’t even an end point. Just when you think there is, something massive comes along and shows you there’s more room to grow. 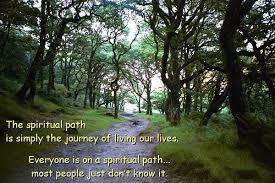 My spirituality for me is connecting to ‘source’ (The universe, the light, God, spirit, soul) as much as possible (I do this through meditation) and know that everything happens for a reason. Even the darkest times are for a reason, for our souls growth. There’s no victim mode when we know this. Even my irritations are to help my souls experince something, in my physical body. I believe we are all a soul, who’s been here for lifetimes, in a human body. Each soul chooses the body, the family, the parents and even the experiences we have. I know this maybe hard to get your head around, but Steve Jobs once said: “you can’t connect the dots looking forward, but looking back, the harshest and painful times in my life, were for a reason.” Watch this video for a very human explanation of this concept! It’s about finding what really matters in life and living in love and peace. Raising the love and vibration of the planet so that we can all live in harmony. Being kind, giving thanks and most importantly GROWING. The more of us that wake up, the less dark there is. The more love, unity and peace there is, the more quickly the world will ascend. The more benefits to humanity, the planet and our future generations. That’s cool, because here is where I share the real me. I’ve finally found somewhere I can pour out my heart and head and help people. So to everyone reading this, you’re not alone. You never are. Your soul is always with you. Even the angels are with you, if you ask them to be. I’ve lived most of my entire life as someone else and thinking I was alone, and I’m done with that. So here’s me. I’m ‘out’. I believe in some pretty far out stuff. 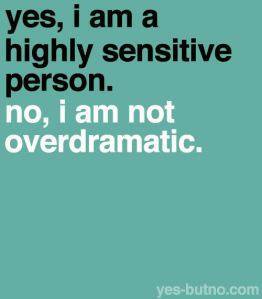 I’m empathic and sensitive. I’m crazy and often have awkward conversations. I love trees and nature. I love my friends and family. I’ve learned to let go of what people think and I embrace each day. 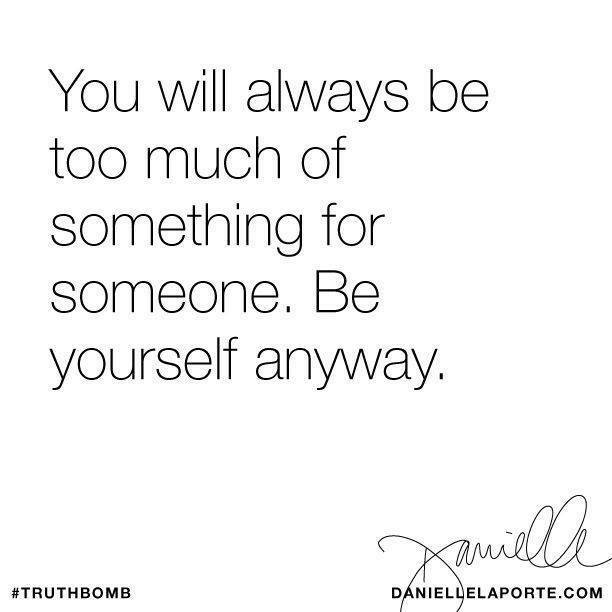 I still struggle at times to accept the real me and how I truly feel because I can easily take on other peoples energy and this infiltrates mine and affects my mood. I need a lot of rest, quiet and downtime. I need feeding regularly! I’m fierce and determined. I’m very passive and accepting. I’m open. I don’t have walls. I wear my heart on my sleeve. Most of all I’m kind and compassionate and very considerate and I believe in spirituality, angels, god, light and unicorns. I belive I have a purpose and by writing this I’m living it.